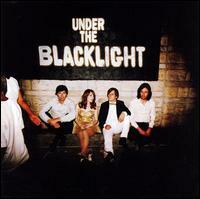 I never much cared for Rilo Kiley prior to this album. I had listened to their previous work, but it never stuck with me. It was probably my musical sensibilities at the time. I now really dig all of their stuff. Discovering Jenny Lewis' first solo album with The Watson Twins probably helped the cause as well. Check out her cover of the Traveling Wilburys' "Handle with Care" on this site. This track is fairly funky and a little disco, especially during the chorus with the backing soul chorus and the bouncy bass line. The lyrics are fairly straight forward. They're about a break up from the female perspective. Although, of note are the couplets with alternating perspectives that end each of the choruses: "Did my/your heart break enough? / Did it break enough this time?" The song would prove to ultimately be prophetic, because Rilo Kiley would eventually break up in 2011. I do There's a few tinkles of cowbell during the verses, but it really shines during the refrain and the guitar solo. A really well produced fan video.